Whenever I travel to a new place, I find myself initially overwhelmed at the newness of it all. It often takes several days to adjust, after which time I soon find myself ignoring or marginalizing things that seemed fascinating, confusing, or beautiful only days before. One way I avoid falling into this trap of familiarity is to give myself a project or a focus – a task to seek out and document something specific. One that I have found consistently interesting is signs. 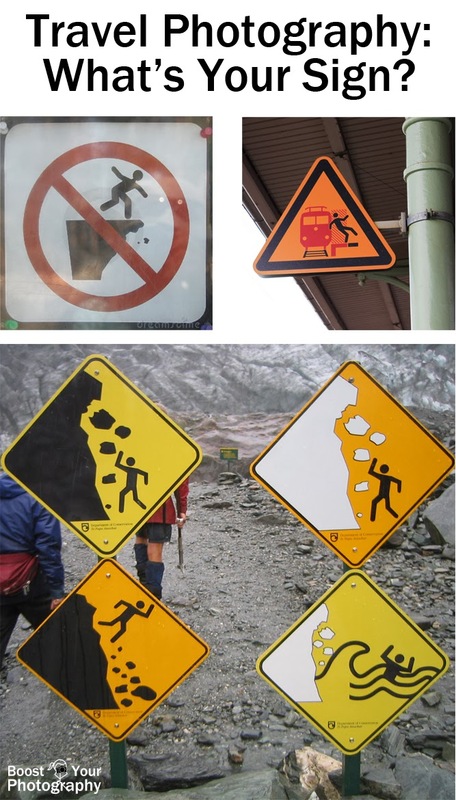 Signs, particularly the symbols used to represent certain actions or behaviors, are highly variable in different areas and countries. Signs can also be quite humorous in their depictions of people or warnings. train tracks in Berlin, and glaciers in New Zealand, . I also like to keep my eyes open for bilingual signs. While the red octagon is already a universal symbol, I found it interesting that stop signs in Jordan proclaim their message in both English and Arabic. In many countries outside the United States, exit signs are green, rather than red, to encourage people to go that way in case of an emergency. Bilingual stop sign and exit signs in Jordan. Photographs of signs are also quite useful when you return from your travels. It can be extremely frustrating to be going back through your pictures days, weeks, or years later and to realize you have no idea what the name was of the particular sight, view, object, or architecture you photographed. I've made it a habit of grabbing a picture of the sign, label, or place name, even if it’s just a snapshot, to help jog my memory later. While many of these end up being 'throw away shots' that I just use for record purposes, sometimes the combination of sign and object can share something important. 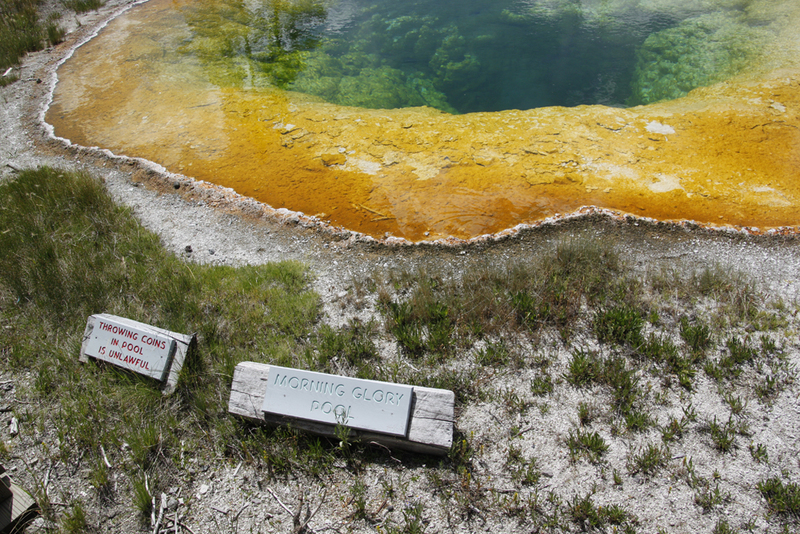 Morning Glory Pool in Yellowstone National Park with label and warning sign. So, next time you take a trip or even just a walk around the block, keep your eyes open and your camera out, because you never know what interesting sign might catch your eye. 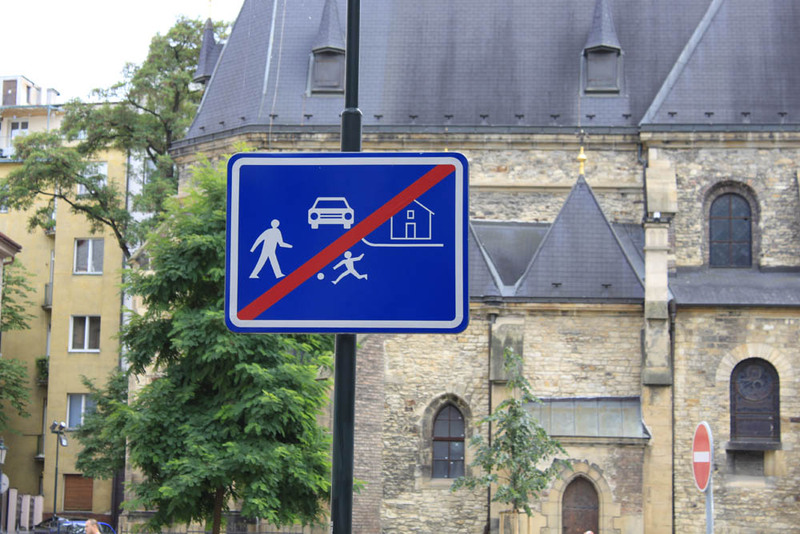 according to this sign in Prague, Czech Republic.